A sports enthusiast since his days as a youngster when he followed the Boston Red Sox, Ron Blanding brings an essential business and sports knowledge mix to his franchise, the Denver Gold. The 56-year old Blanding was born and raised in Providence, R.I., during which time he participated in sports and was an avid baseball fan in the heydays of Jimmy Foxx and, later, Ted Williams. But it was, and is, in Denver that Blanding has made his greatest impact. He first was introduced to the Rocky Mountains in 1944 when he was stationed at Lowry Air Force Base while serving in the U.S. Air Force. Following his discharge, Blanding attended the University of Denver. His first job after college was as a laborer on a concrete crew and he served his apprenticeship as a cement finisher. Less than a year later, Blanding began his own concrete company. Nineteen fifty-five marked the beginning of Blanding's career in the real estate and housing market. Blanding successfully became the owner of several Denver-area land parcels and began constructing warehouses on the property. Later, Blanding developed business and industrial parks. Today, Blanding is able to combine his penchant for physical fitness along with business acumen. He is the owner and operator of two highly successful Denver athletic clubs, which he directs in addition to his day-by-day responsibilities with the Gold. An avid runner, Blanding also plays tennis and racquetball as his schedule permits. He is the father of five children, three sons and two daughters, and makes his home in Denver. Blanding's Denver Gold accomplished in 1983 what no other USFL franchise did - it showed a profit. Despite the financial success however, Blanding quickly saw that the plan set by David Dixon was being derailed by his fellow owners' excessive spending on player talent. Citing escalating player salaries, Blanding sold the Gold after the 1984 season to auto dealer R. Douglas Spedding. Of all the owners in the USFL, Blanding is perhaps the only one who saw a return on his investment, selling the team for a reported $ 10 million. 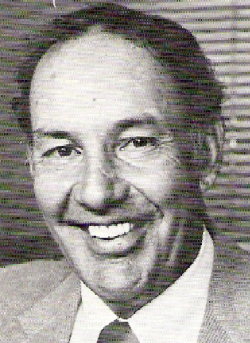 Blanding remained actively involved in real estate throughout the Denver area into his 80s.